Two years after snatching the “world’s ugliest phone title” with its Signature Cobra, the company’s back with the Signature Dragon. Vertu has shown his new team luxury called Vertu Signature Dragon ‘in the store Vertu store at Wynn Las Vegas hotel. 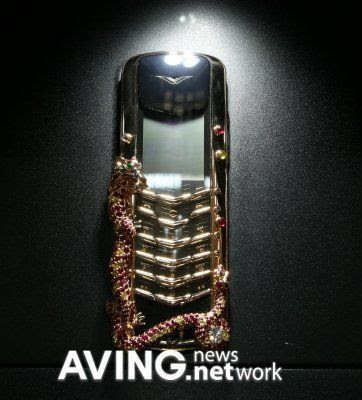 Similar to the Vertu Signature Cobra, Dragon this model has not yet been revealed on the website of Vertu. Even so, since the Cobra retailed for over a quarter of a million bucks we’re guessing this new handset ain’t gonna be cheap.